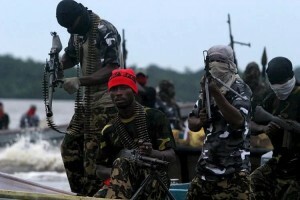 A coalition of eight Niger Delta aggressor bunches have approached the Federal Government to restore all oil pieces being controlled by northerners to the general population of the oil delivering locale, while setting the severance date for the Niger Delta district from Nigeria. The coalition includes Niger Delta Watchdogs, Niger Delta Volunteers, Niger Delta Peoples Fighters, Niger Delta Warriors, Bakassi Freedom Fighters, Niger Delta Movement for Justice, Niger Delta Fighters Network and Niger Delta Freedom Mandate. Pioneers of the eight gatherings said that the Niger Delta district should pronounce its autonomy on October 1, 2017 and free itself from oppression by the North. The aggressor pioneers incorporate John Duku (Niger Delta Watchdogs); Ekpo (Niger Delta Volunteers): Osarolor Nedam (Niger Delta Warriors) and Henry Okon Etete (Niger Delta Peoples Fighters). Others are Asukwo Henshaw (Bakassi Freedom Fighters); Ibinabo Horsfall (Niger Delta Movement for Justice); Duke Emmanson (Niger Delta Fighters Network), and Inibeghe Adams (Niger Delta Freedom Mandate). The announcement discharged by the coalition peruses, "A coalition of the Niger Delta aggressors met today in Port Harcourt to audit the current call by Arewa youth bunches that the Ndigbo ought to empty all the northern states inside three months. We see the assertion by Arewa young people as a consultative presentation, which the northern older folks, pioneers, political first class, security heads from the North and governors were completely mindful of." "We request 100 for every penny control of our assets. We request that the Federal Government ought to hand over all oil squares possessed by the northerners to Niger Delta indigenes. Every one of the organizations working in such oil squares/wells ought to abandon inside three months. The Federal Government ought to promptly migrate the Nigerian National Petroleum Corporation and every one of the workplaces that need to do with oil/gas division back to Niger Delta states and instantly supplant the Group Managing Director (of NNPC) with an indigene of Niger Delta." "Every northern indigene working in NNPC and whatever other board that has anything to do with oil/gas ought to be sacked with prompt impact. We request a free and sovereign Republic of Niger Delta. We are worn out on living with the North under Nigeria. We are burnt out on the President's estimations to the Niger Delta individuals. The President can have room schedule-wise to get the Chibok young ladies, however couldn't have sufficient energy to meet with the Representatives of the Niger Delta fomenters. Our cash has been utilized to finance Boko Haram, an issue made by the northerners keeping in mind the end goal to utilize it as a course to redirect the assets of Niger Delta." "On October 1, 2017, we should pronounce our freedom, come rain, come sparkle. We should take our predetermination in our grasp and free ourselves from the servitude of the North as they are sick of one Nigeria. From October 1, 2017, we would prefer not to perceive any northerner near (the) Niger Delta; any endeavor to infiltrate might meet savage resistance. This time, we are not going to play protection, but rather assault." They likewise stated, "We additionally request that the Federal Government ought to promptly supplant the Inspector General of Police with an indigene of the South-West, the Director-General of the Department of State Services with an indigene of South-East, and the National Security Adviser with an indigene of South-South. The Speaker, House of Representatives ought to deliberately leave and hand over to an indigene of the South-South." They likewise approached every single unsettling gathering to resume assaults and bombings of all oil and gas pipelines, particularly the sending out lines over the Niger Delta locale with prompt impact, saying the measure was gone for guaranteeing zero oil and gas creation before October 1, 2017.